Meet Tesla’s most advanced battery – the Powerwall 2. Tesla has engineered a cutting-edge solar storage solution to keep your home powered when you need it. On a typical day*, the Powerwall 2 combined with your solar system will meet all your energy needs. With advanced monitoring through the Tesla App, you’ll be in complete control always around the home. 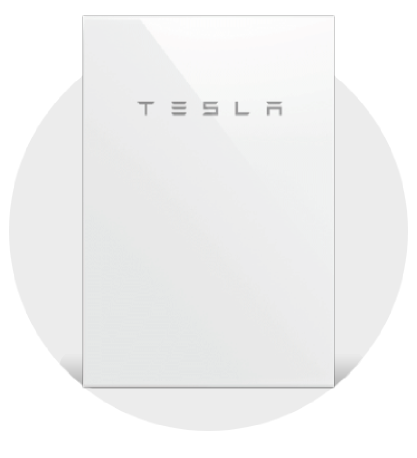 The Tesla Powerwall can detect when a power outage is occurring. It will disconnect your home from the grid, and automatically restore power to you in milliseconds. We’d be shocked if you even noticed the power went out at all. Don’t believe us? Read about the Sydney home owner who didn’t notice his grid went down thanks to Tesla. The Powerwall 2 will keep your alliances and lights powered without interruption. Without it, your solar system will simply shutdown in a power outage. Effortlessly monitor and manage your Tesla Powerwall, panels, Model S or X whenever and wherever you need. The Tesla App allows you full control over your energy and usage. *typical day based on national data average. Specific day-to-day needs will vary home to home.